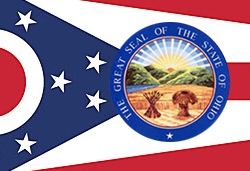 Looking for a job in Muskingum County Ohio? The following guide provides a listing of Muskingum County top employers to include local government employment portals, healthcare job links, and a variety of schools that provide great teaching and support staff careers. Muskingum County periodically posts job openings on their website. During this review there had been an open position for a Field Operator Water Department. Visit their site for current listings. You can also visit the Muskingum County Library System for opportunities working within any of the various library locations. Also, during review there had been an open position with the Muskingum County Public Health Department for a Dental Assistant. The City of Zanesville had job openings available on this review date. Employment opportunities found had included Corrections Officer and a Water Treatment Utility Mapping Tech Position. There were employment applications and information available for Public Safety positions. Check for updates. The Village of New Concord posts listing on their home page under the Current Employment Opportunities section. During review there was a listing posted for Auxiliary Police Positions. The Zanesville-Muskingum County Chamber Of Commerce is a good resource you can use to find and contact local employers by using the member directory. As part of our team, you'll get great benefits, work with highly qualified colleagues and help carry out the Genesis mission. Learn about our competitive compensation package, current physician opportunities, and discover what it's like to live in Zanesville. Here you may find employment opportunities such as Anesthesia Technician, Advanced Nurse Practitioner, Billing Jobs, Case Management Jobs, Clinical Educator, Clinical Pharmacist, Clinical Tech, Environmental Services Jobs, Driver, Food Services Jobs, Licensed Practical Nurse LPN, Emergency LPN, Lab Tech, Lab Tech Support, MRI Technologist, Nurse Manager, Medical Assistant Jobs, Medical Technologist, MLT, Patient Access Representative, Patient Care Technician PCT, Police Officer, Radiation Therapist, Radiographer, Registered Nurse Critical Care, RN Registered Nurse Medical Surgical Jobs, Registered Nurse RN CCU, Emergency Room Registered Nurse RN, CVIU RN, Hospice Registered Nurse, PACU RN, Respiratory Care Practitioner RRT, Staff Interpreter, Clinical Pharmacist, Surgical Technician, Surgical Tech Jobs, and Ultrasonographer. Forest View Health Center located in Zanesville is a part of Trilogy Health Services. During this review there were open positions available for MDS Coordinator Registered Nurse RN, Licensed Practical Nurse LPN, Certified Medication Aide, Dietary Aide, Cook, Housekeeper & Laundry Assistant, Resident Care Associate Caregiver, and State Tested Nursing Assistant STNA. Zanesville Health and Rehabilitation Center is a great resource to monitor for ongoing career opportunities. During review there were open positions posted for Care Manager Nurse Liaison, Full-time LPN, Part-Time Activities Aide, Part-Time Cook, Part-Time Dietary Aide, RN MDS Coordinator, and STNA. Visit their website for the latest updates. Helen Purcell operates a peaceful residential care center. Helen Purcell was hiring for the positions of Nurse Aide/State Tested Nurse Aide (STNA) and Dining Services Server. Brookdale Zanesville had openings for Resident Care Coordinator Nurse LPN, Full Time Licensed Practical Nurse LPN, Nurse Healthcare Manager RN, PRN Nursing Jobs, Occupational Therapist PRN OT Home Health, and Physical Therapist PRN PT Home Health. Primrose Retirement Community of Zanesville had been hiring for the positions of Resident Assistant (Nurse Aide) and Dining Services Assistant/Cook. Check for new listings. East Muskingum Local School District is currently accepting applications for substitute bus drivers and custodians. Here you will find Classified, Certified, and Administrative positions posted when vacancies exist. Franklin Local School District periodically hires teachers and support staff. Here you may find open positions available such as Math / Language Arts Teacher, Math / Science Teacher, Future Elementary Pre-K-3 Positions, Music K-12 Positions, Art Teacher, Reading Teacher, Social Studies Teacher, Special Education / Intervention Specialist, Physical Education Teacher, PE Teacher, Future Foreign Language Teacher, Certified Positions, Administrative Positions, Classified Substitute Positions, and Vocal Music Teacher. The Maysville Local School District is currently accepting applications for sub bus drivers, Substitute Teachers, and Substitute Custodians. Check for updates. West Muskingum Local School District was hiring Part Time Bus Drivers on this review date. Check for current listings. Zanesville City Schools looks for the highest quality people to join our faculty and staff. During review there had been open positions available for Administrative Assistant to the Superintendent's Office and Substitute Teacher. Muskingum University offers careers in the following areas: Administrative, Support Staff, Faculty, Student Employment, and Barnes & Noble College employment. Digital Media Specialist, Reference Librarian, Lacrosse Coach, Mail / Copy Center Jobs, HVAC Building Mechanic, Mover and Event Administrator, Custodian, Proctors, Faculty positions, Adjunct and Part-time Positions, and more. The Zanesville Muskingum County Chamber Of Commerce is a good resource since they maintain a job board. The Chamber is also a good place to research top employers by using their member directory.